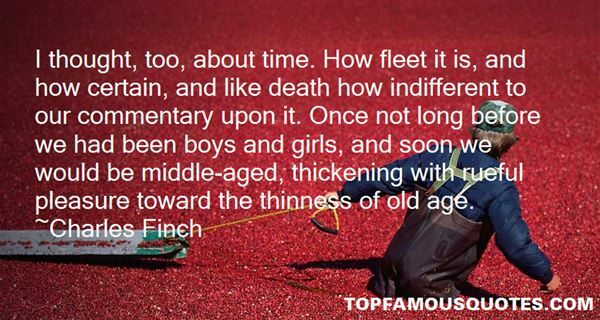 Reading and share top 14 famous quotes and sayings about Thinness by famous authors and people. Browse top 14 famous quotes and sayings about Thinness by most favorite authors. 1. "I thought, too, about time. How fleet it is, and how certain, and like death how indifferent to our commentary upon it. Once not long before we had been boys and girls, and soon we would be middle-aged, thickening with rueful pleasure toward the thinness of old age." 2. "Being slim is the new elitism. Thinness today says that you are richer, smarter and more successful than the overweight masses." 3. "Too many poets act like a middle-aged mother trying to get her kids to eat too much cooked meat, and potatoes with drippings (tears). I don't give a damn whether they eat or not. Forced feeding leads to excessive thinness (effete). Nobody should experience anything they don't need to, if they don't need poetry bully for them. I like the movies too. And after all, only Whitman and Crane and Williams, of the American poets, are better than the movies." 4. "The faint hints of color in her complexion, her tawny blond hair, her extraordinary thinness, all spoke of that unearthly grace modern poets find in the medieval statues. Had she been happy, she'd have been ravishing: happiness constitutes pure poetry, for women." 5. 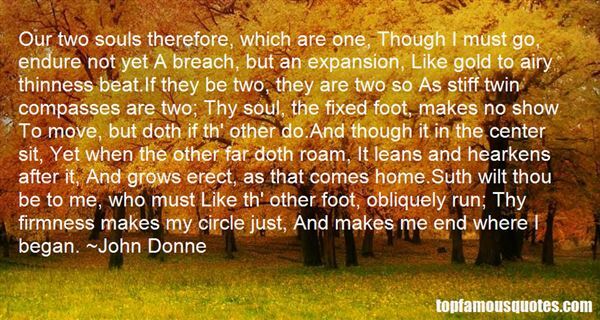 "Our two souls therefore, which are one, Though I must go, endure not yet A breach, but an expansion, Like gold to airy thinness beat.If they be two, they are two so As stiff twin compasses are two; Thy soul, the fixed foot, makes no show To move, but doth if th' other do.And though it in the center sit, Yet when the other far doth roam, It leans and hearkens after it, And grows erect, as that comes home.Suth wilt thou be to me, who must Like th' other foot, obliquely run; Thy firmness makes my circle just, And makes me end where I began." 6. "She was one of those women of good family who no longer exist, elegant, distinguished, and haughty, whose pallor and thinness seem to say, 'I am conquered by the era, like all my breed. I am dying, but I despise you,' and - devil take me! - plebeian as I am, and though it is not very philosophical , I cannot help finding that beautiful." 7. "When misfortune accumulated, I could feel now, it strafed you to the thinness of a nightgown, sheared you to the sheerness of a slip." 8. "Girls developed eating disorders when our culture developed a standard of beauty that they couldn't obtain by being healthy. When unnatural thinness became attractive, girls did unnatural things to be thin." 9. "If I had been a different sort of person, maybe less impressionable, less intense, less fearful, less utterly dependent upon the perceptions of others - maybe then I would not have bought the cultural party line that thinness is the be-all and end-all of goals. Maybe if my family had not been in utter chaos most of the time, maybe if my parents were a little better at dealing with their own lives maybe if I'd gotten help sooner, or if I'd gotten different help, maybe if I didn't so fiercely cherish my secret, or if I were not such a good liar, or were not quite so empty inside... maybe." 10. "My sense of touch was floating six feet away from me; if anyone entered my room, I would cry out, but the knife was serenely cutting me up. Yes, I became a skeleton. At night my thinness would rise up before me to terrify me. As it came and went it insulted me, it tired me out; oh, I was certainly very tired." 11. "A cultural fixation on female thinness is not an obsession about female beauty but an obsession about female obedience." 12. "The desolate narrowness, the definitive thinness of experience is both the vainglory and the dead giveaway of a provincial man." 13. 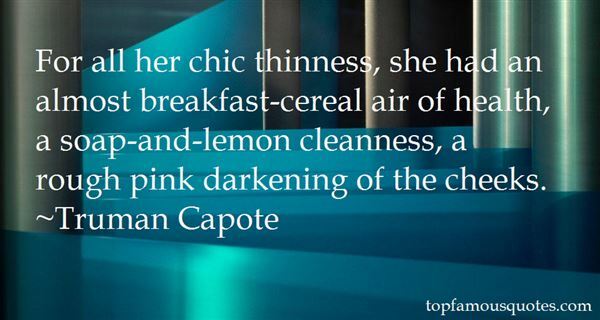 "For all her chic thinness, she had an almost breakfast-cereal air of health, a soap-and-lemon cleanness, a rough pink darkening of the cheeks." 14. "There is a very, narrow, thinness of line between the living and the dead; actually, it's just a lack of a heartbeat away." I think we mixed a lot more curveballs than normal because they were either going after my drop or laying off of it and that's normally my go-to (pitch)."